I make things. You can find a lot of them here. 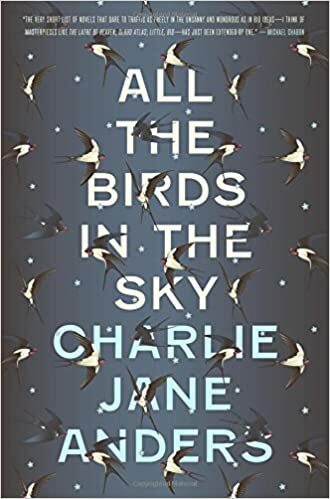 From two-second time machines and talking cats to eco-terrorism and plots to save humanity by destroying the planet, Charlie Jane Anders' "All the Birds in the Sky" deftly mixes the quirky, the mundane, the magical, and the high-tech. 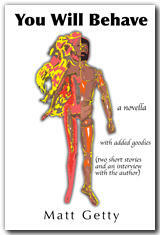 The novel tells the love story of a mad scientist and a witch thrown together in middle school and then pitted against each other in a near-apocalyptic future. But it's just as interested in uniting its two main characters as it is in bridging the two worlds they represent--science and nature. Laurence is an outcast science kid-genius who builds two-second time machines and an online artificial intelligence named CH@NG3M3. Patricia is an outcast tween witch who speaks fluent cat (sometimes) and communes with nature in the form of a great Tree with a capital "T." Like two characters from separate young-adult novels, they are thrown together in a tumult of middle-school bullies, cruel, misguided parents, and guidance counselors bent on assassination. But Anders isn't interested in following the predictable YA story arc of self discovery and self actualization. Instead, she sets her sights on a more interesting challenge: What happens when these special children grow up? And what happens if the world in which they grow up isn't some far off fantasy world, but rather the more terrifyingly real near future where the repercussions of global warming threaten humanity and the planet. In this near future, our two grown-up YA protagonists find themselves on opposite sides of colliding plots to stave off Armageddon. While Laurence and his start-up, mad-scientist friends craft a machine that will allow humanity to find a new home on another planet but possibly destroy this one, Patricia and her coven of witches and wizards hatch a spell to heal the planet by devolving mankind to a feral, but more eco-friendly, state. This last one may seem like the least substantial, yet it becomes a Zen koan with the power to save the world. The brain teaser inspires a Platonic understanding of the world, with no clear answers. As Patricia puts it, "you could look at a tree and see what it looks like, but you wouldn't be perceiving what it actually is." More importantly--for the plot, at least--this question and its inscrutability provide the intellectual jolt Laurence's AI, CH@NG3M3, needs to achieve consciousness. This happens when Patricia and Laurence are young, and Laurence asks Patricia to interact with the bot to help it "pass the Turing test," so to speak. As they age then, unbeknownst to our main characters and the reader, CH@NG3M3, who aptly changes his name to Peregrine, hides himself in ubiquity. That is to say, he becomes the OS for the Caddy, a sort of iPhone on steroids that sweeps the world with its ability to perfectly profile its owners and guide their lives by maximizing social connections, desires, and opportunities they didn't even know they had. As Laurence and Patricia pursue their opposing doomsday prevention hacks, conflict and heartbreak naturally follow. Anders does a fine job of exploring both the small-scale romantic drama and the large-scale end-of-the-world death and devastation that surround it. Giving each equal unsentimental weight, she makes girl/boy trouble and the end times feel equally important without losing sight of the comic potential of the juxtaposition. When a heart-broken Patricia, for instance, laments, "I fell in love with a man, and he built a doomsday machine," we can't help but sympathize with her at the same time we snicker at what sounds like the best example of a #whitewitchproblem you're ever goign to find. Most striking, however, is Anders ability to resolve her plot by creatively resolving all the nature vs. science, magic vs. technology, and fantasy vs. sci-fi tensions she stirs up. When the Caddy's OS reveals itself to be Peregrine/CH@NG3M3, and Laurence and Patricia help it to commune with the Tree with a capital "T," disaster is averted through the marriage of these opposing forces. Laurence stepped past her, walking right up to the Tree, which by now was empty of birds. Patricia wanted to stop him or to ask what the hell he was doing, but Laurence had a look on his face that said I'm doing this, don't argue, and she wanted, needed, to trust him. "You are," the Tree said, "like me." "A distribute consciousness, yes," Peregrine said. When the two unite then, we realize counter-intuitively that ecosystems and algorithms actually have a lot in common, that roots and wires aren't all that different, that maybe trees and computers should get together more often. Their shared "distributed consciousnesses" merge to heal the planet, and the melding of the Caddy and the Tree is at once the union of Laurence and Patricia, and an inspired coupling of technology and nature that seems to be what is most needed for any future in which environmental calamity would be avoided. Given that lately the only thing proliferating as quickly as technology seems to be environmental problems and that you can't help but wonder whether the singularity will come before some looming world-wide calamity, "All the Birds in the Sky" is as well timed as it is well executed. Tapping into the competing zeitgeists of environmental pessimism and sci-fi-fantasy hopefulness, Anders has crafted both a compelling and humorous love story and a powerful parable for our age. Matt Getty. Simple theme. Powered by Blogger.